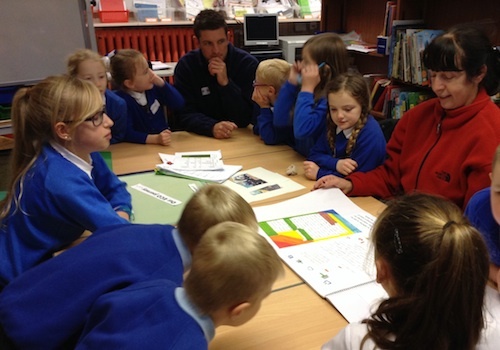 The boys and girls of Colgrain Pre-5 Unit have been thinking of ideas of ways to help the community of Helensburgh. 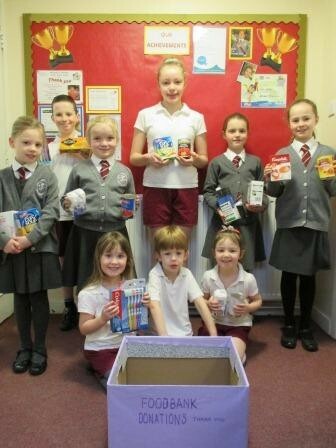 They have been gathering donations for the Helensburgh Food Bank. 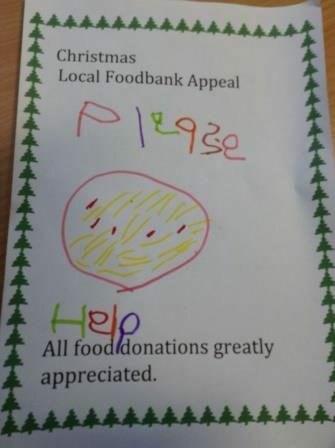 They realised that there are people who may need help this Christmas. All donations are still welcome from family and friends of the school. Walk a Mile for Malawi! 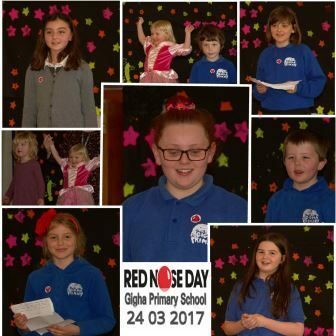 On Wednesday 30th March, all of the boys and girls from Colgrain Pre-5 Unit right up to P7 took part in a special event to raise money for the Nora Docherty Foundation that has built schools and supports children in the Dedza region of Malawi. 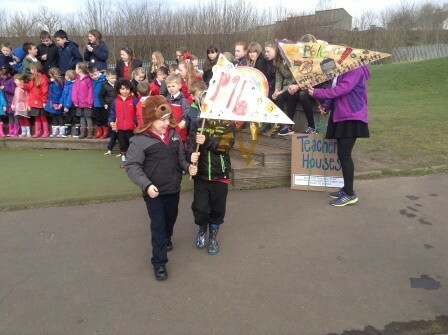 We had to walk a mile round the African village that had been set up in our school grounds. 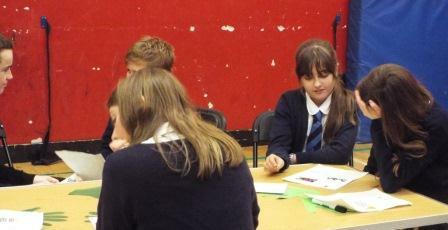 Dalintober PS and ELCC raised funds for BBC’s ‘Children In Need’ annual appeal last Friday. 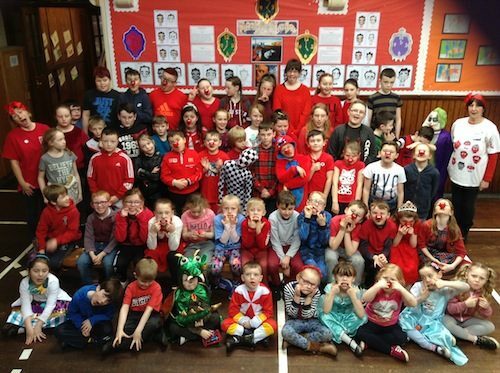 A non-uniform day was held – with an array of outfits and costumes on show! Various smaller fundraisers were led by pupils throughout the day including a discothon, cake stall, face painting and much more. 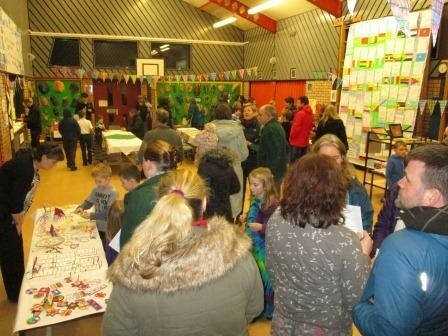 A fabulous £430.03 was raised for the charity. 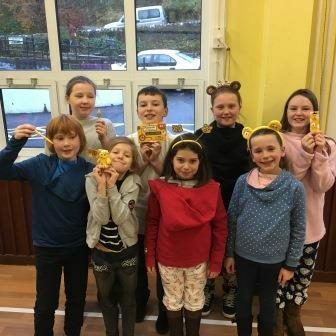 In Dunoon Primary, Mrs Macdonald and P7 organised a Drawing Competition, a Raffle, made Badges and Bookmarks, held a Non Uniform Day and held a Bake Sale all to raise money for Children in Need. Thanks to the fantastic support of staff, pupils, parents and friends of Dunoon Primary the amazing sum of £928.47 was raised. A huge thank you to all! 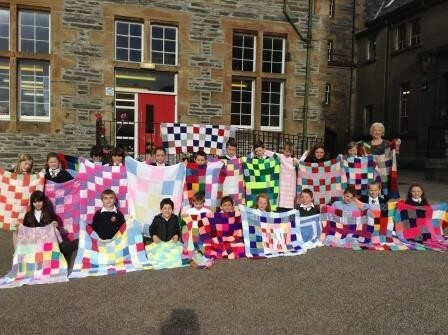 When last year’s p4 in Dunoon Primary heard of the shocking devastation following the earthquakes in Nepal, they were determined to do something to help the people, who had suffered such losses in the tragedy. They searched online for information about the country and its people and then looked for ways to help. Their initial concern was the lack of clean water, so they organised a raffle and sent £81.15 to UNICEF, who were providing water in the region. However, the help did not stop there. 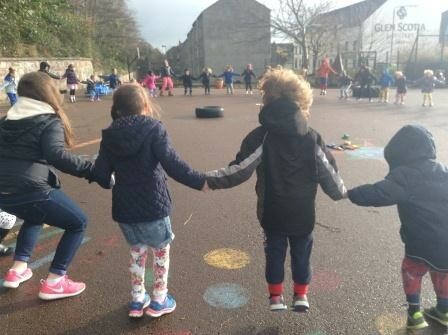 This term, Primary Four reached out into their local community as part of their learning. They wanted to gain a deeper understanding of the importance that local organisations play in providing the needs of their local community. 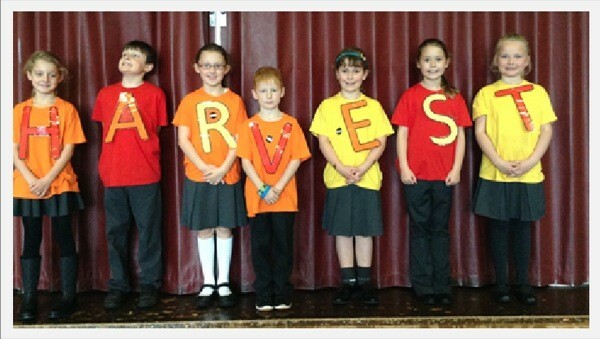 By investigating the traditions behind Harvest, the children decided to contact Helensburgh and Lomond Foodbank to see how they could help the individuals and families in their community who are not able to fully enjoy the Harvest Festival. 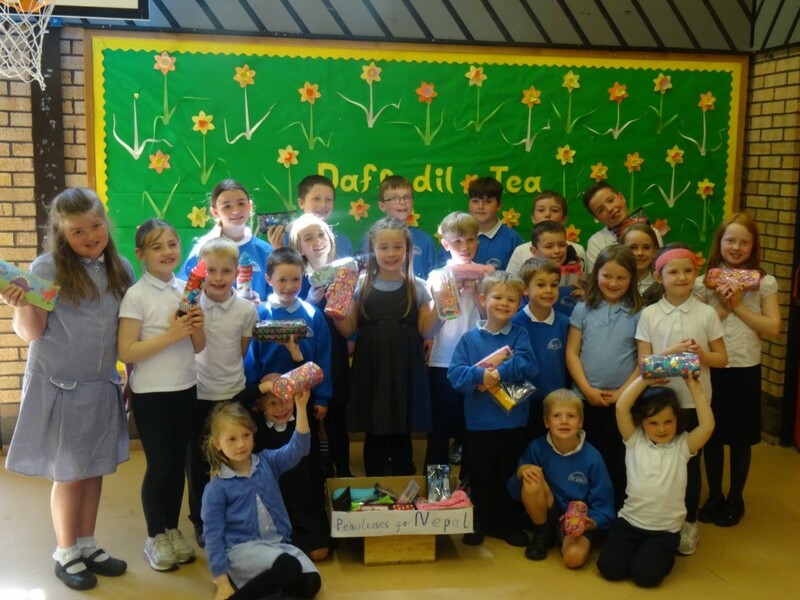 The end of Term 3 saw Primary 4 pupils at Rhu Primary help co-ordinate the collection of Easter eggs for Glasgow City Mission. 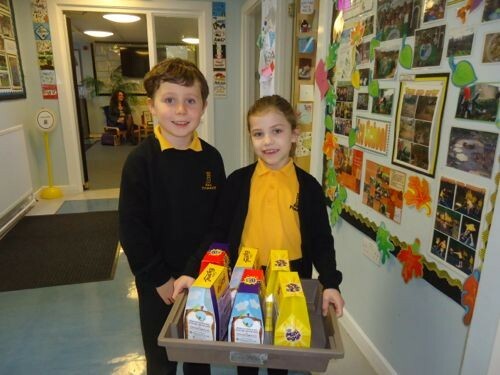 The pupils managed to collect a fantastic 121 eggs for the appeal! Thank you to everyone who supported this worthwhile cause. 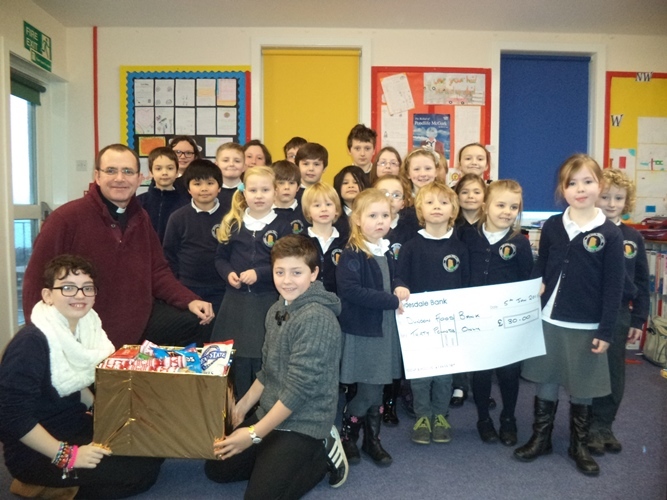 The SVDP (St. Vincent de Paul) representatives of St. Joseph’s Parish made a visit to St. Joseph’s School last term to ask if we could help advertise the new local Independent Voluntary Foodbank which had opened recently at the Red Cross Hall, 116 East Princes Street, Helensburgh. They informed us that no referral was necessary for anyone to benefit from this new initiative in the town and could we please let parents know of its existence via our next school newsletter. 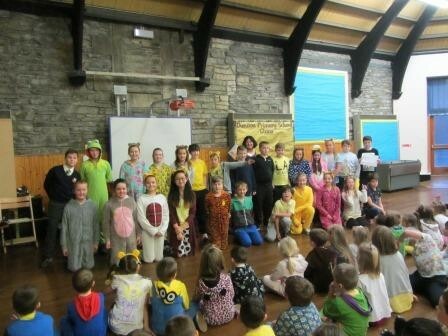 Primary Two at Rhu Primary have recently been learning about Africa in Social Studies. 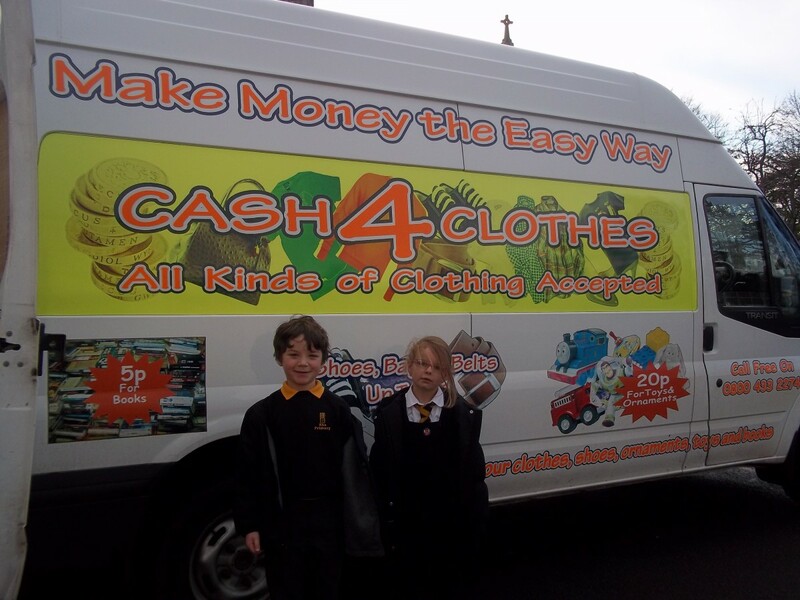 They recently organised a Cash for Clothes Appeal to raise money for the charity Wateraid. Thanks to all the generous donations, they successfully raised £90 to help provide clean water and sanitation for those in need. What responsible citizens – well done! 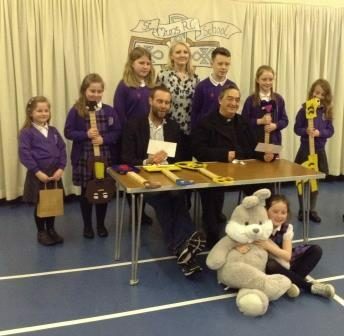 ‘Lots’ of News from St Andrew’s! St Andrew’s Primary School’s Third Green Flag! St Andrew’s Eco Committee met with Paula Love, the Eco Schools Assessor, and informed her of all the hard work put in by the pupils, staff, parents and community members to maintain the Eco School status. After an initial meeting to discuss what has been happening in our school, from weekly litter picking duties to organised days like UNICEF’s Day of Change, the Eco Committee sang our Eco Code; complete with the newly choreographed actions.